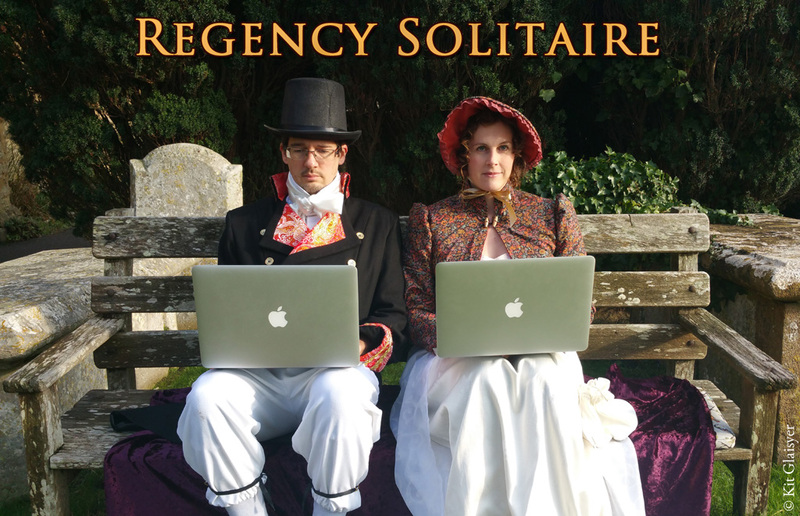 I had the pleasure of interviewing Helen Carmichael, half of the creative team for the upcoming Regency Solitaire from Grey Alien Games. Kelsey: What gave you the idea for Regency Solitaire? Helen: The solitaire game theme came to me while watching Downton Abbey. Jake and I had recently moved back to Bridport from Canada, and we were keen to revisit our favourite historical locations in the UK. People in Georgian England (the Regency is in the later part of “Georgian” history) loved to play cards, and it struck me that a solitaire game would fit in beautifully with a story set in that era. We toured museums, historic cities and stately homes in the course of our research. Stourhead House in Wiltshire, the Roman Baths and museums in Bath, and the Victoria and Albert museum in London all served as inspiration. Kelsey: What does a typical game-making day look like for you and Jake? Helen: In the early stages of game design, there is quite a bit of sitting around talking about ideas and making notes, gathering images, and trying out ideas visually. Overall, we work a fair bit side by side, then break out into individual tasks as the project progresses. We also communicate with our musician and artists, who work remotely from us, regularly. We both work from home and have separate offices, but chat about ideas and progress throughout the day. We work very flexibly, as we also have two children and want to make time to see them as well. Kelsey: Tell me about the main character, Bella. Helen: Bella is a young woman with a clear idea about what she would like to try as she steps out into adult life. However, as with many women at this time in history, she’s very much constrained by social norms and her family circumstances. The key theme for Bella is that her dreams can come true – even though she may have to take a few risks and get help from others to make that happen. She’s still fairly young and on a learning curve too – she’s fortunate to have some good friends and mentors who are on her side. Kelsey: What are some of your favorite Regency-era stories? Helen: I read a great deal of Georgette Heyer growing up – she wrote in the 20th century, but many of her stories were set in the Regency. Although the stories themselves are fairly “light’ entertainment, her attention to historical accuracy was razor sharp, and in my opinion it really enhanced these romance novels. I do love Jane Austen – strictly speaking, most of her famous works were written before the Regency period began, but they were published for the first time in the Regency and became popular then. Kelsey: What got you interested in working on a video game? Helen: Jake has been making games for many years, and I’ve been offering comments and testing levels and so on from the sidelines. Because of my interest in the costume research and history for this story, and my experience as a writer, it made sense for me to come on board with this project. Just like Bella, I’ve been on a steep learning curve – when it comes to game design! Kelsey: Do you and Jake have more game ideas? What else can we look forward to from you two? 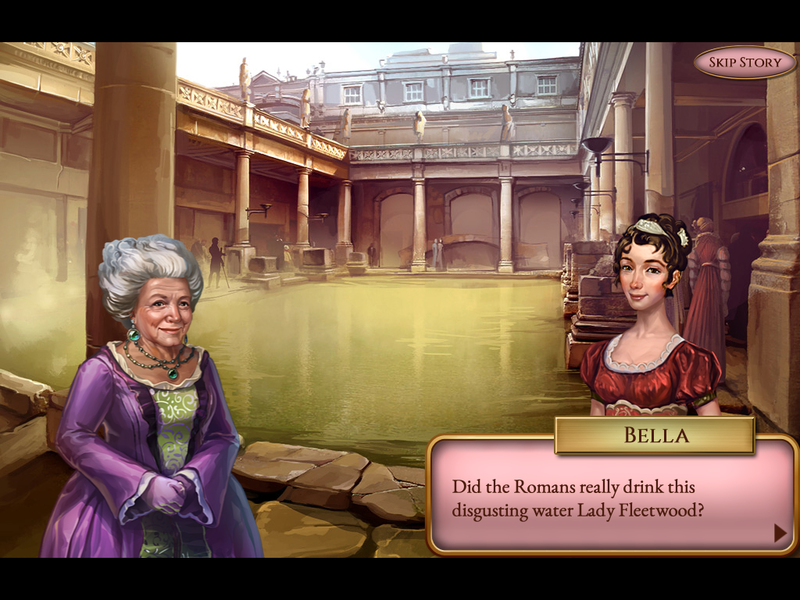 Helen: We do have a couple of other ideas in the works – one project will feature one of our Regency Solitaire characters, but in a totally different setting with an adventure and mystery storyline. There’s a second project on the drawing board for a different genre of game, but it’s a bit early to give details. Kelsey: Where can we find you and your game on the internet? Helen: As a small business of course we would love it if you would buy our game direct from us via our website! You can find it at http://www.regencysolitaire.com. In addition, it’s available from major portals, and is coming soon to Steam. Thank you so much for chatting with me, Helen! There will be coverage of Regency Solitaire itself coming soon!